By the looks of it Box appears to be following in the footsteps of Gigaclear’s demand-led model for rural deployments, albeit with the community itself helping to fund the civil engineering side of things. 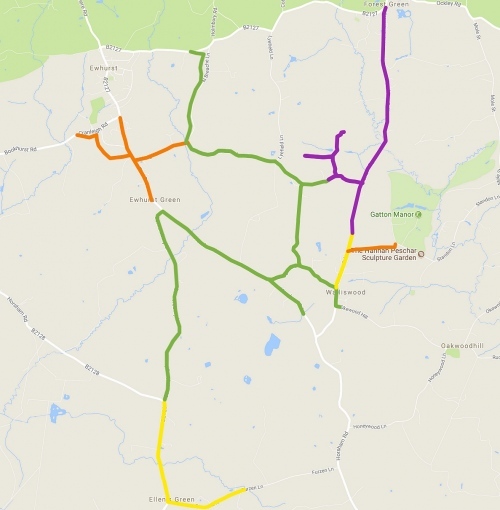 The provider’s first network is connecting parts of the rural Surrey Hills area, starting in Ewhurst and Walliswood with plans to extend to other areas (Ellen’s Green looks to be the next on their list). The ISP is also in the process of applying to Ofcom for Code Powers, which are often sought by infrastructure builders in order to help them simplify and speed-up the planning process, not least by reducing the number of licenses needed for civil engineering. Customers of the new symmetric speed service can expect unlimited usage, short 30 day rolling contracts (surprising for a smaller rural FTTP ISP given that most prefer the security of longer terms where civil engineering is involved), an included wireless router and “low cost installation” (we assume this is partly or completely covered by the local investment). Packages cost from £41 inc. VAT per month for a 50Mbps plan and go up to £76 for a 1Gbps connection. Box also says that they can deliver to larger Multi-Dwelling Units (apartment blocks) and they have an aim to cover more than 10,000 homes within the next 5 years (by 2023). The network is connected back to their datacentre in London. Finally, we understand that Box will be working to offer their network via an open access wholesale approach to other ISPs and they’re also examining whether or not they’ll be able to make use of Openreach’s (BT) existing infrastructure (cable ducts and poles) via Physical Infrastructure Access (PIA); at least in areas where doing so makes sense. But they’re primarily building their own fibre. Some of the areas they’re targeting may already be covered by a much slower hybrid fibre FTTC (VDSL2) solution from Openreach, which doesn’t seem to bother Box as the related communities tend to be dissatisfied with what they currently receive. Excellent – congrats to Box and best of luck in your endeavours. I am a Box Broadband customer and I have to say well done to everyone involved, the new fibre optic service is amazing, totally transforming the way I use the internet. The building of the network has been challenging, but the team got the job done. The customer service is great, local people working in their community, we are all very lucky our area was chosen. My Box Broadband connection has been performing exactly as advertised since January 2018. Many of my neighbours are enjoying this new pure fibre FTTP service too. Such a joy not to be dealing with the flaky old BT Openreach copper any longer, having switched the phones to VoIP as well. I sincerely recommend Box and I am confident they will grow into a well known and highly regarded ISP. What a great service provided by Box Broadband, a very happy team, everyone has been very cheerful and incredibly helpful. A fantastic service which provides exactly what they say it will. If you are stuck on setting it up at home and engineer comes to you and gets all your devices up and running, all completely hassle fre. They deserve our support, BT would never have turned up with fibre to the house, thank to Box we now have it at a competitive price.